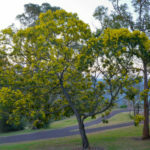 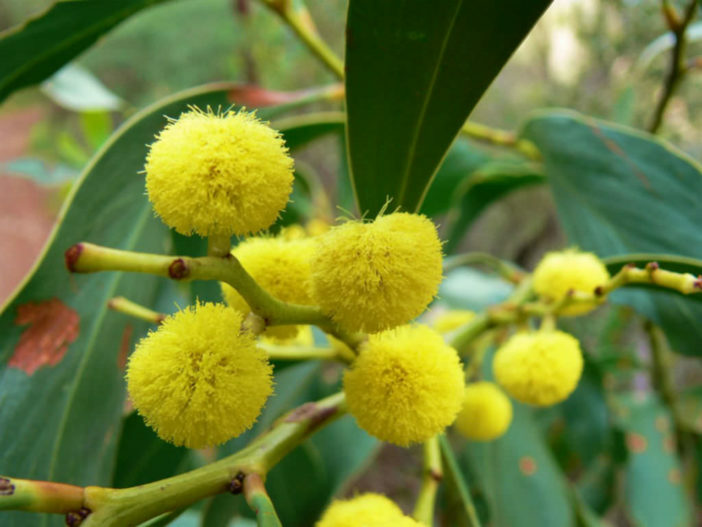 Acacia pycnantha is an evergreen tree up to 26 feet (7.8 m) tall and has phyllodes (flattened leaf stalks) instead of true leaves. 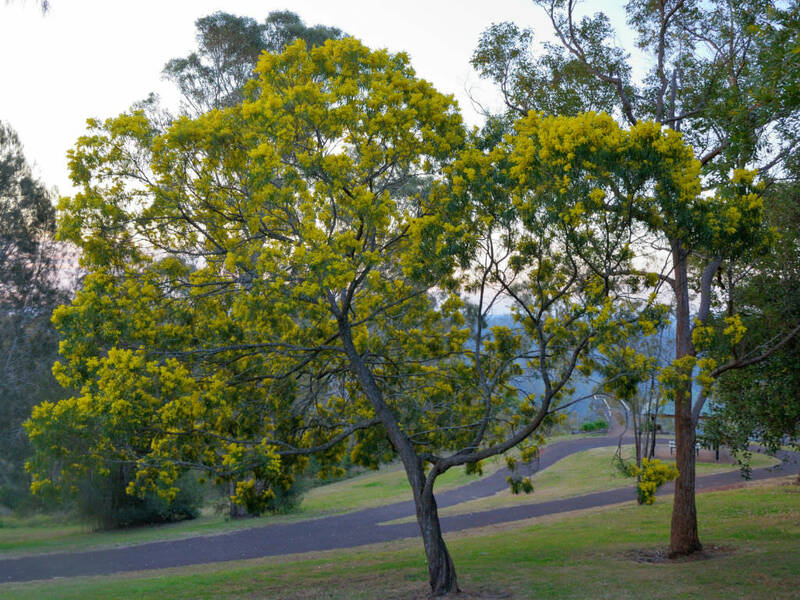 Sickle-shaped, these are up to 6 inches (15 cm) long, and up to 1.5 inches (3.8 cm) wide. 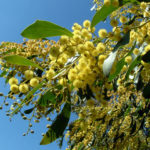 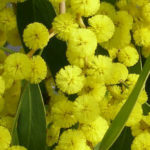 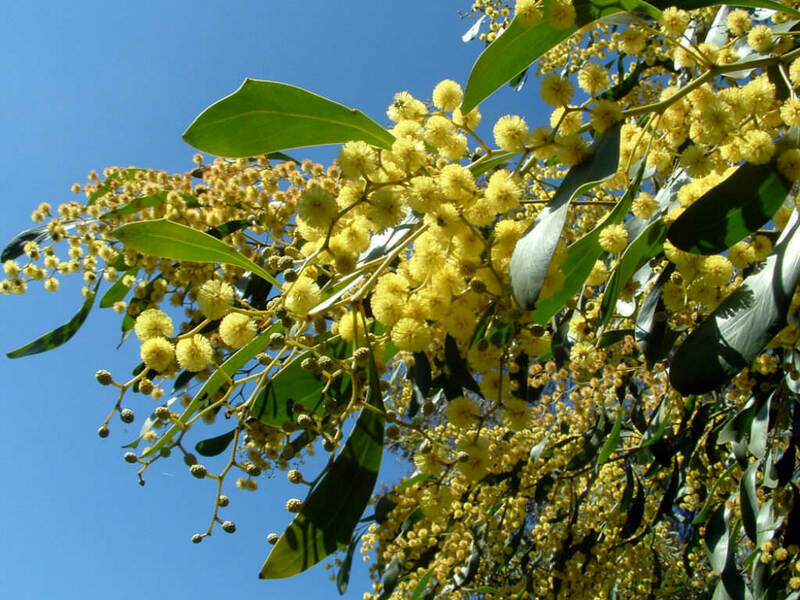 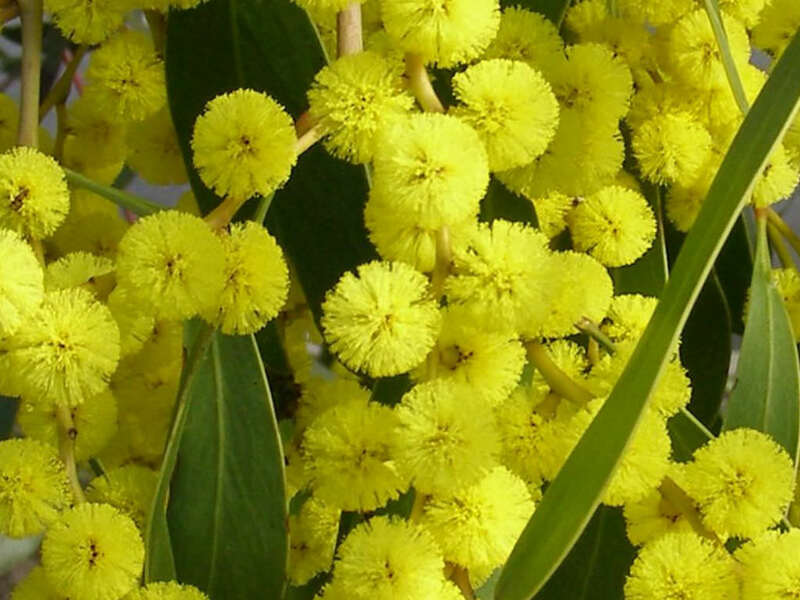 The profuse fragrant, yellow or golden-yellow flowers appear in late winter and spring, followed by long seed pods.